This charming Land Crab, is showing 86,000 miles which we believe to be correct. It was with the previous owner for over 17 years, in this time it was always garaged and well maintained and driven regularly. 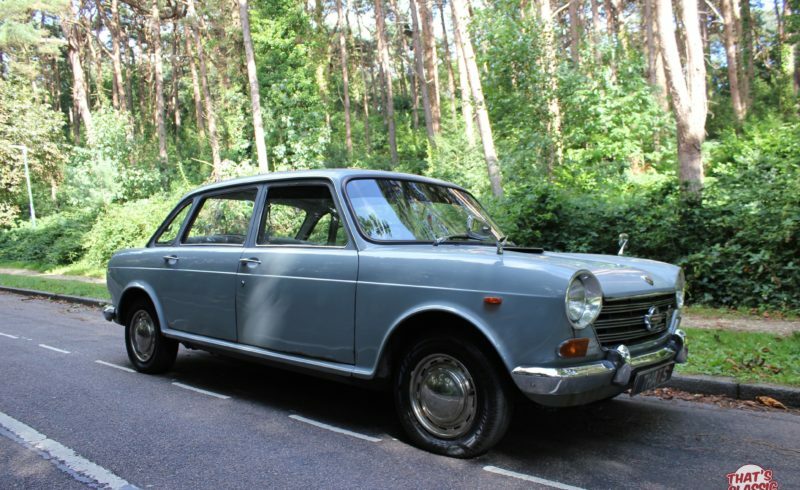 The car comes with a huge history folder with various invoices and Receipts, including a new exhaust system, refurbished starter motor, power steering rack (inc rack gaiters), front and rear windscreen rubbers replaced, new wiring to voltage regulator, new battery. Serviced yearly at the same local garage, so many receipts. It also comes with original hand book. The interior is clean and the seats are in very good condition as are the door cards. The carpets are showing their age in the front of the car. The car is an absolute pleasure to drive, it runs so smoothly through the gears on the wonderful automatic gearbox. It also stops very well with the servo assisted brakes. The body is very straight and the panel gaps are excellent, there is the odd bit of flaky paint on the body and the bonnet is a slightly different shade than the rest of the car.